If you’ve worked in the training and development field for any length of time, you undoubtedly will have heard some version of the story of Susie or Steve. Susie/Steve was very good at designing and delivering training programs. One day the sales manager came by to request a sales training program. Sales weren’t growing as he hoped. Last time that happened, a training program turned it around or so the manager believed. He figured that would work again. End of discussion. You probably can guess what happened. Susie/Steve designed and delivered what everyone said was a great program. But sales still didn’t improve. Given the poor results, senior management didn’t see the point in having an internal training function, so Susie/Steve got laid-off. If you can’t demonstrate that the training you do contributes to the bottom line, you might as well stay home: no work for you. On the face of it, that makes lots of sense. You don’t want to teach a bunch of people to knit unless the company is in the business of selling hand-made knitted goods and there’s a ready market. But Susie/Steve didn’t teach knitting. It was sales. To sales people. At the request of the sales manager. Sounds business related. Was Susie/Steve responsible for increasing sales? No. She/he was responsible for providing training the sales manager believed would help increase sales. What if the reason for poor sales had nothing to do with the sales force? Maybe the pricing was off. Or product development missed on the next product cycle. Or management decided to ignore the latest trend. There can be many similar reasons. Sales training won’t address any of them. What exactly does it mean to contribute to the bottom line? It sounds straightforward. But it’s not. Does it mean P&L responsibility? Does it mean helping those who have P&L responsibility? Susie/Steve doesn’t have P&L responsibility. The sales manager might. Why punish Susie/Steve for something she/he has no control over? Why didn’t the sales manager get laid-off? Isn’t it his responsibility to figure out why sales weren’t improving and then address it? Maybe he needs to attend a workshop on the topic. Does the company know what training can and can’t do? Here’s what it can’t do: fix people or create miracles, like a bump in sales. 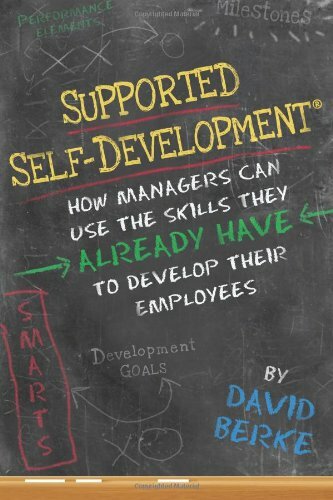 Here’s what it can do: provide necessary knowledge and skills to managers and non-managers. Then it’s up to them to apply what they learned and, with practice, perform more effectively. Understand what training can and can’t do for your organization. Adjust your expectations. Be clear about who’s responsible for what and require accountability from those who have responsibility. Otherwise you perpetuate the problem. If you’re going to use phrases like “contribute to the bottom line,” understand what you mean and be consistent in how you apply it.